Profit & Loss (P&L) Statement is one of the most important financial statements of any business. It serves as the base for analysis of the company and helps possible investors to understand the company’s strength and operations. P&L statement with future projections and historic data are the basis for obtaining a business loan. Financial Lenders look at small businesses as a high risk investment. Hence, better is the P&L statement with all the required data greater are the chances of securing finance. A P&L Statement (Income Statement), well designed business and strategic marketing plan, personal resume, and strong credit history are keys to get a business loan easily. P&L statement shows the summary of profits and losses made by the company for a particular period of time. That is nothing but company’s revenues minus the expenses incurred like operational expenses, cost of goods sold, depreciation etc. Apart from these, it also shows the cash in hand left for paying salaries, clearing debts and funds available to hire more employees. On the whole it can be said that it is a company’s financial health report card. Profit and loss statement can be used to track performance as against the goals set. For example, if a company’s revenues went down or the expenses went high in a particular month or quarter, this statement would help the company plan a better marketing strategy to improve sales and plan to cut costs wherever necessary to have a profitable next month or quarter. 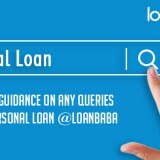 Future projections of profits and losses plus a business plan to attain the numbers intended are required to convince a money lender to provide you with business loan required. A projection of one year is a must however; a plan for three years would provide better impact on lenders. It is a good idea to get in to habit of reviewing Profit and Loss statement on weekly or monthly basis according to the business requirement. These reviews will help in keeping a track and making adjustments to business plans as and when needed. Hiring an accountant to keep an eye on the key financial statements is another thing to be considered. 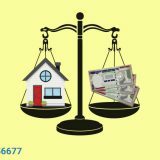 If any increase in overheads such as rents, utilities, insurance etc., then look for way to curtail expenses. Increasing sales, but declining profits? This is the time to pause and look around for what is going wrong. Are the costs too high? Is there an issue with set margins? Stationery sales (fixed amount of sales). Search for growth opportunities in new market or product lines. 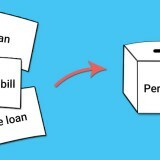 Previous story Why to Resolve Past Due Debt Before Taking a Personal Loan?